Most people find themselves pet lovers in one form or another. Whether they prefer the furry, four-footed kind or the type with scales or feathers, it’s likely that most people, at some point in their lives, will enjoy the company of a critter. Over the years, many Americans may find themselves spending a great deal of money on their pets. 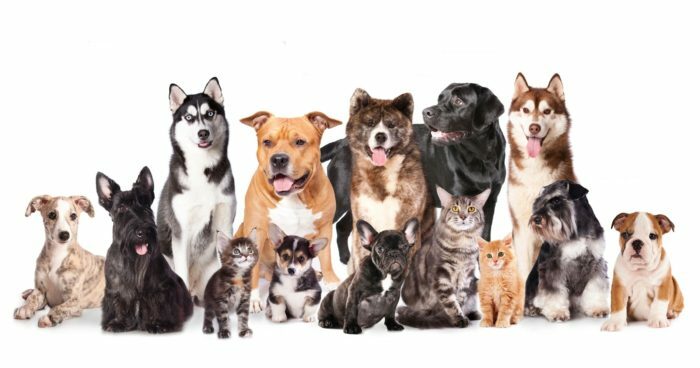 In fact, a survey conducted by The American Pet Products Association (APPA) states the pet industry in the United States reached $69.51 billion in 2017, and that number is expected to exceed 72 billion, which is more than the combined GDP of the 39 poorest countries in the world. Americans spent a total of $29 billion on pet food, $15 billion on supplies and over-the-counter medicine, almost $17 billion on veterinarian care, and a little over $6.2 billion on pet services like grooming and boarding. This doesn’t even include the 2.1 billion spent on purchasing those pets. With 68 percent of American homes (or 85 million families) owning a pet, it’s not hard to see why the pet and pet-care industry is accessible for new entrepreneurs. If you love animals and really feel you could build a business on your willingness to care for animals, there are many types of pet businesses out there for you to consider. But whether or not you succeed has a great deal to do with your ability to build your brand, market your product or service well, and run your business effectively and efficiently. Find a pet care or pet product niche. There are many types of products and services you can choose from. Maybe you want to specialize in pet boarding for those going on business or recreational trips. Perhaps you have developed a line of healthy and natural pet snacks you want to sell. It might be that you live in a community where people need daily dog walkers to see to their pets throughout the long work day. Maybe you want to try your hand at CBD-infused pet products for aging or ailing dogs and cats. Regardless of what you choose, you need to be aware of the many social media tools available for your social media channels that will help you set yourself apart from your competitors and help your target audience know what you and your company are offering. Appealing to a specific demographic and establishing a loyal following over time will help your business become lucrative quickly. Develop your brand with a range of marketing strategies. When people thinking of branding, they are usually focused on a vibrant logo that is easily and quickly recognized on social media sites. And while a visually memorable logo is key to a marketing strategy, there are other things you can do to build your brand. A robust marketing plan can and should include blogs, email campaigns and subscriptions, video clips and YouTube videos, as well as a focus on customer service and engagement that keeps your target audience coming back for more. Remember that your brand is your promise to your consumers that you can and will continue to provide the best in quality and service. Building your brand over time through the use of compelling marketing strategies will inspire consumers to return for repurchase and will help to grow your business. Reach your audience. A positive and far-reaching social media presence is critical to reaching and growing your audience. SocialSteeze.Net is one tool that can help garner real Instagram followers while you develop the content necessary to continue the organic growth of your social media sites. Be sure to provide thought-provoking and engaging articles so that your consumers recognize the face behind the business. Respond quickly and tactfully to complaints, comments, and suggestions, and always provide information that is relevant to your niche business and the industry as a whole. Grow your business and expand your plan through socially good works. Most fur parents adopt animals because they are interested in promoting the health and welfare of animals. Use the top Instagram tools to develop and support philanthropic work as part of your business. Perhaps your company will host an adoption event, invest in green items like natural flea and tick repellants, or maybe you want to educate your community on the holistic benefits of CBD products for pets. The “going green” thrust means that people are increasingly conscious of and interested in supporting businesses that do socially good works. They want to buy from companies that allow them to better the world and provide a sense of purpose. The ongoing success of your company will mean expanding awareness of options available to pet owners. Have you considered starting your own pet business? Feel free to share here.